At one point it seemed like the pole and feeder were going to completely take over commercial match fishing, but they haven’t. 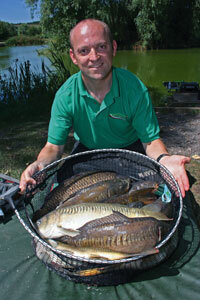 Over the last couple of years there has been a massive resurgence in waggler fishing for carp. Pellets have taken a hold on most fisheries and the carp have got bigger and cleverer, so new methods have been devised to fool them – enter the pellet waggler. Ask any match angler which method they get most pleasure out of and many will admit that it’s waggler fishing that really floats their boat. Unfortunately, traditional waggler tactics could rarely compete with the sheer effectiveness of the pole or feeder… until now. 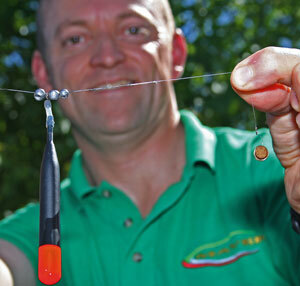 The pellet waggler has taken match fishing by storm. Initially pioneered in the south and southwest, the method has now swept across the country. 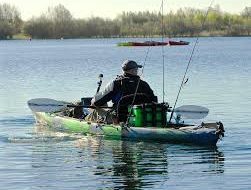 So what is it that makes this method so effective, and what has it got to do with short rods, shallow rigs and stumpy floats? We got Maver-backed Steve Mayo to reveal all. I think it is fair to say that the pole and feeder have dominated most venues over the past few years. The waggler has only played a part when big, bodied floats have been needed to cast long distances, but that’s a method you can only use on large, open-water venues when the wind is favourable. The majority of commercials these days are small and only need a short cast to reach the middle or features like islands. The pole tends to work really well on these smaller venues but there will always be places where the fish are that little bit further out. This is the domain of the pellet waggler. The fish come to the noise of loose-fed 8mm pellets. As long as you can catch shallow and pellets are permitted, this method will work. If everyone around you is fishing the pole it’s even better – by dominating an area slightly further out you stand a very good chance of stealing their fish! When the water really warms up and the carp are cruising, a short, fat, pellet waggler can be really devastating. You can fish this method literally inches deep – expect explosive action when you get a bite that shallow! The key with this method, apart from having the right gear, is to get the feeding right. I generally like to start off with a dozen 8mm coarse pellets loose fed every cast. Big, unsoaked 8mm pellets make plenty of noise when they hit the water. I could perhaps feed 6mm pellets at the same range but they don’t make as much noise, which is what attracts the fish. Bigger pellets are also easier to group tightly, which can be very important on some venues. If I was faced with a strong headwind, I’d have no qualms about feeding 11mm pellets. It’s important not to leave the float too long if you haven’t had a bite. I often twitch the bait every 10 seconds or so by giving the reel handle a quick, sharp turn. There is normally no need to mend or sink the line after casting with this method. 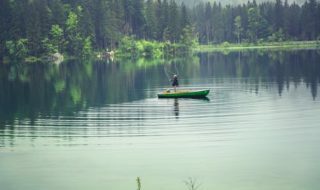 Usually, you can expect to get bites as soon as the float hits the water, or immediately after the bait has been twitched back through the feed. My advice is to constantly keep feeding, casting and twitching. The harder you work the more you will catch. Fold the rod up in two and pop the rig on a winder. Safely wrap it all up with Velcro bands. Pack it away neatly in a Ready Rod Holdall. More and more top anglers are leaving their traditional, three-piece, 13ft waggler rods in the holdall these days as they ditch them in favour of shorter, two-piece models. Anglers have quickly cottoned on to the fact that normal rods were too long and cumbersome for short-range waggler work. The 12ft Maver Reactorlite Match Pellet Waggler I now choose to use is much more suitable. It has a superb parabolic action and just doesn’t lock up. This gives me more confidence when playing fish as you should be in complete control – even on light 0.12mm or 0.14mm hooklengths. Everything from casting to playing fish to landing fish is easier on a shorter rod and you’ll find your actions will be more intuitive. With a shorter rod the fish can be controlled easier, they pop-up closer to you and you’ll be able to get them in the net faster as a result. Even casting can be so much easier and more accurate at short range. One final advantage of a rod like this is that it can be folded in two and taken to the bank ready made up. Maver was quick to cotton on to this idea and brought out a sensible length Ready Rod Holdall. It is designed specifically for the task and can house two made-up rods. All you need are a couple of Velcro rod sleeves and you have a set-up that can be assembled or packed away safely in seconds. It’s a damn sight easier than a fiddly, three-piece 13-footer! I use ultra-short Maver Match This Dumpy Wagglers from 2SSG to 4SSG. These are strong, durable floats with lots of buoyancy so they won’t dive too deep when they hit the water. All my shot are used around the float to lock it in place. I normally like to tie a 12in twisted loop in the end of my reel line to lock the shot onto. This creates a strong, doubled-up section that I can safely slide the shot up and down on without fear of weakening it. Because I’m only fishing inches deep, I won’t need a loop longer than this. The hooklength is attached loop-to-loop to this and I carry loads pre-tied with me so I can quickly change. My hooklengths are only six inches long and, when the fish are feeding properly, the float often needs to be right on the hooklength knot! 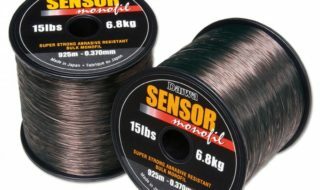 My main line is 0.18mm Dual Band, which is superb for waggler fishing because it’s extremely strong for the diameter and very supple. My short hooklength is 0.16mm Genesis Extreme finished off with a size 16 Maver MT4 eyed hook. The latex band is hair rigged with a knotless knot. The band is simply stretched around the hook pellet. This way of hair rigging is great for bagging. Carefully drill a hole in your pellet. Push a baiting needle through the hole. Hook the latex band and stretch it. ull the band through the hole in the pellet. The band expands to grip the pellet. I tend to use the same size pellet on the hook as those I’m feeding, although some anglers prefer to use a larger, target hook bait. Hard pellets are best simply because soft hookers come off too easily. I hair rig mine by tying a bait band onto the end of the hair, which gives me a couple of choices of how to attach a pellet. Firstly, you can simply pull the band around the pellet and this is best when the fish are feeding confidently and you’re getting bites quickly. The second method is to drill a small hole through the pellet and pull the band through it with a baiting needle. When stretched, the band pulls through the hole but will hold the pellet on firmly once it contracts again. Maver brought out my own Mayo’s Bait Bands for this along with pre-tied Match This Banded Hair Rigs with the bands already attached. The hooklengths come with either a short or a long hair – the longer ones work particularly well with bigger pellets or when the fish are mouthing the bait. The fruits of scorching action on a blazing hot day! To put the method through its paces I’ve come to the Spring Pool at Viaduct Fishery. There are plenty of carp in here that go well into double figures and although it’s an absolute scorcher of a day with hardly a breath of wind, I’m confident I can get the carp competing up in the water for pellets. I’ve got an island in front of me but I’m going to start the session by feeding short of it to draw the fish away. 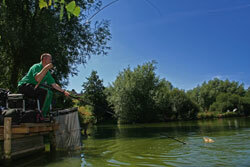 This then gives me the option of casting tighter if the fish are reluctant to come closer. After just two pouches of feed I’ve already spotted signs of fish under the surface. It doesn’t take long to get my first fish, which turns out to be a common just short of double figures. Playing it was a doddle on the 12ft rod and as soon as it popped its head up I got it in the net at the first attempt! As the session progresses I’m getting more and more fish coming up to the surface to intercept the bait, including a ghostie which is easy to spot among the other fish. I’d certainly like to catch that one for the cameras! Today, I’ve found the best method is to cast, feed, twitch the bait, feed again, twitch the bait and then I get bite. You’ll find that whenever you fish this method there will be a successful pattern so it pays to experiment until you find the right formula. Casting to the edges of the feed area can also produce odd fish. My seventh fish is the ghostie that’s been cruising around all day, but as I hold it up for a photo it flips out of my hands and goes straight back into the lake! At the end of three hours, and with a dozen carp in the net, we decide the next fish will be the last so you can imagine my surprise when, you’ve guessed it, I hook and successfully land that ghostie again! We even managed to get some pictures of it this time! I’ve really enjoyed the session. The short rod has been a joy to fish with. Best of all, I can pack away in seconds. I simply put the rig on a winder, fold the rod in half and place it in my case ready for the match at the weekend. Brilliant!